The Lucas family is used to surprises. Doctors told Sera and her husband, Andrew, that they would be unable to have children. Then, their son, Josiah, was born. While Josiah begged for a brother, Sera and Andrew tried to never let him get his hopes up. Then another miracle happened, and Isaiah was born. 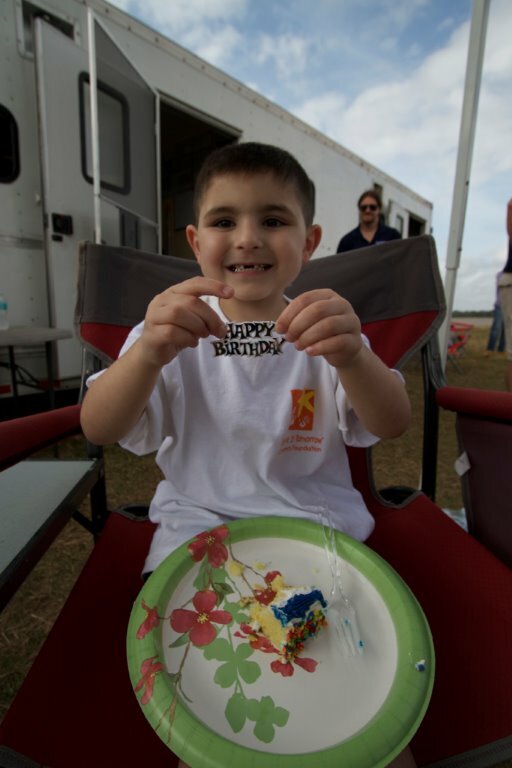 Two years later, though, they were hit with the most difficult surprise of all – Isaiah was diagnosed with Stage IV Neuroblastoma cancer. Then, in 2015, the family was hit with another surprise. 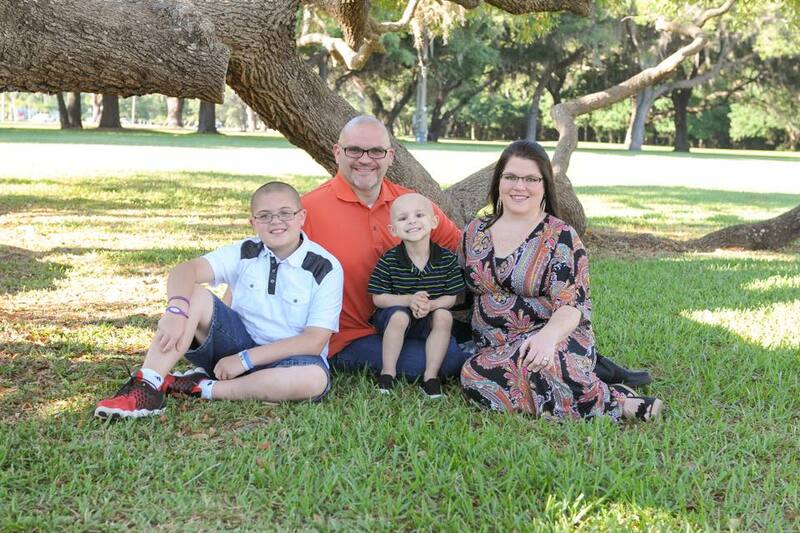 While on a visit to their hospital in Orlando, FL, near the family’s home in Tampa, doctors informed Sera and Andrew that Isaiah’s cancer was in remission. They aren’t out of the woods yet, though. If the cancer relapses, there will be no cure for Isaiah. 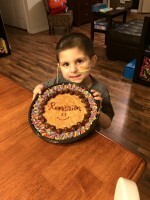 He is currently nine months into a 27-month treatment plan that aims to prevent any new cancerous growths from forming. While the treatment regimen is much less invasive than before, Isaiah still meets doctors in Orlando for monthly checkups and scans. Isaiah’s operations, treatments, and travel expenses have affected the family emotionally, but also financially. “We were living off credit cards for a while. Andrew began a new job not long ago, and he’s already exhausted all of his paid sick/vacation leave,” Sera says. When Isaiah’s 5th birthday was approaching, his parents had already told him, “We just can’t do anything big this year.” Then another surprise happened, and the family was introduced to Believe In Tomorrow. The family applied to Believe In Tomorrow’s Hands On Flying program because our partners at MetLife Blimps were going to be in the Tampa area in March 2016. It just so happened that the day they were scheduled for a flight on the Snoopy I Blimp was the same day as Isaiah’s 5th birthday. “I wrote on our application that it would be Isaiah’s birthday, but I just meant to include it as a side note,” says Sera. 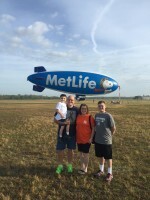 While Isaiah was told he would be given the once-in-a-lifetime experience on a blimp, he didn’t realize what he was in store for until he saw it and began grinning ear-to-ear. “I get to go on THAT? This is awesome!” he shouted as they pulled onto the field. The MetLife pilots took Isaiah and three other critically ill children on unforgettable rides over the Tampa area. When Sera and Isaiah landed after their ride, though, they were both surprised at what happened next. 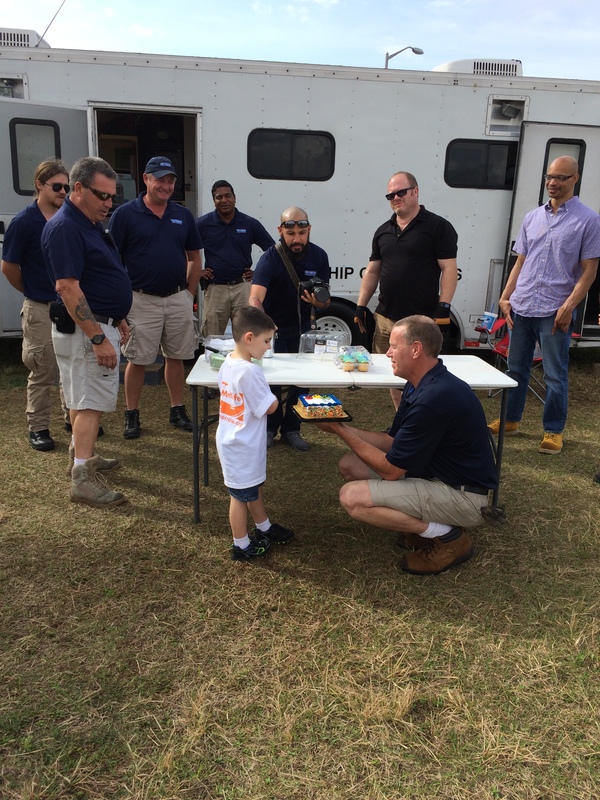 “The crew on the ground had set up a table with a whole birthday cake, cupcakes, and plates and utensils for everyone. 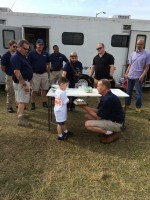 My husband and Josiah were there, and we all sang happy birthday for Isaiah,” Sera remembers. 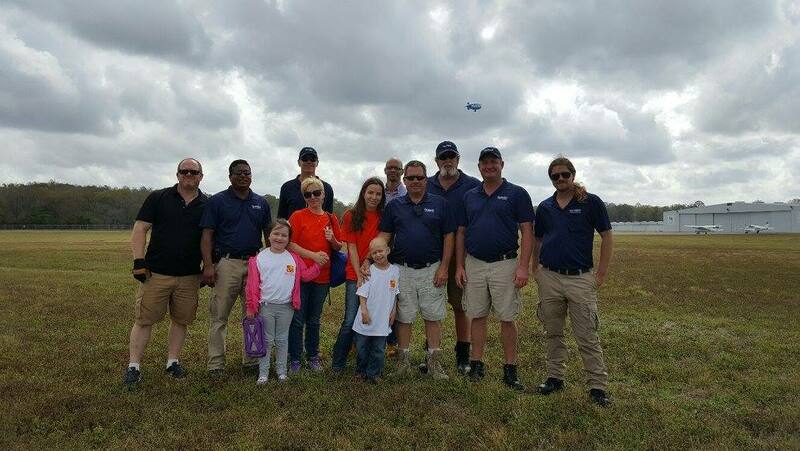 While Isaiah is still in the course of his treatment, the blimp ride undoubtedly lifted his spirits in more ways than one. “It’s still all he talks about. 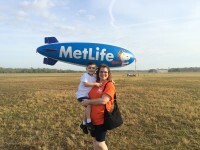 We were able to take home leftovers, and as funny as it sounds, he still talks about the ‘cupcakes from the blimp guys.’ He also loves looking at pictures from the day and constantly asks to see them on my phone,” Sera says. 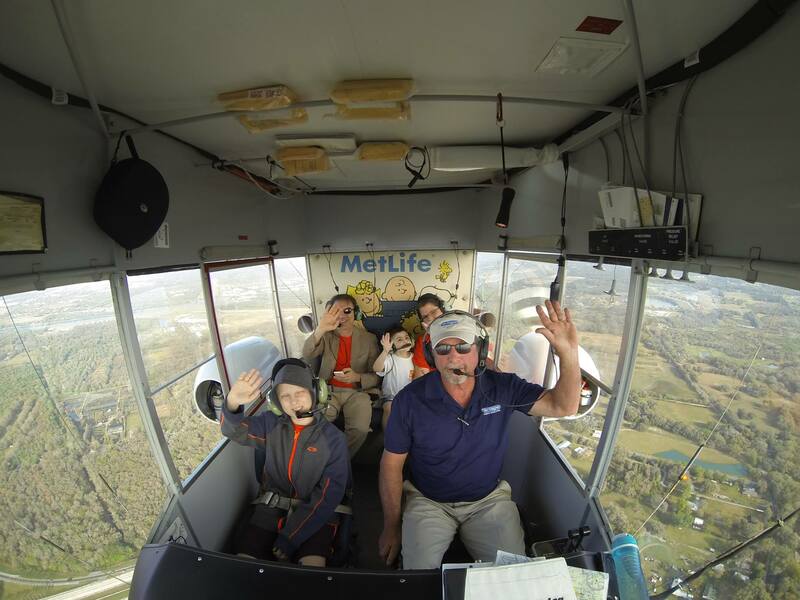 To support our Hands On Adventures program so we can continue offering these incredible experiences to critically ill children, click here.